The SONIC TAPE is intended for a fast, convenient distance measurement, with a laser pointer which shows exactly where the measurement is being taken.For damage caused by usage other than intended, the user is responsible. (*) For measuring long distance from 12m to 15m, the relative humidity should be 50% or above and target size should be at least 3m by 3m. 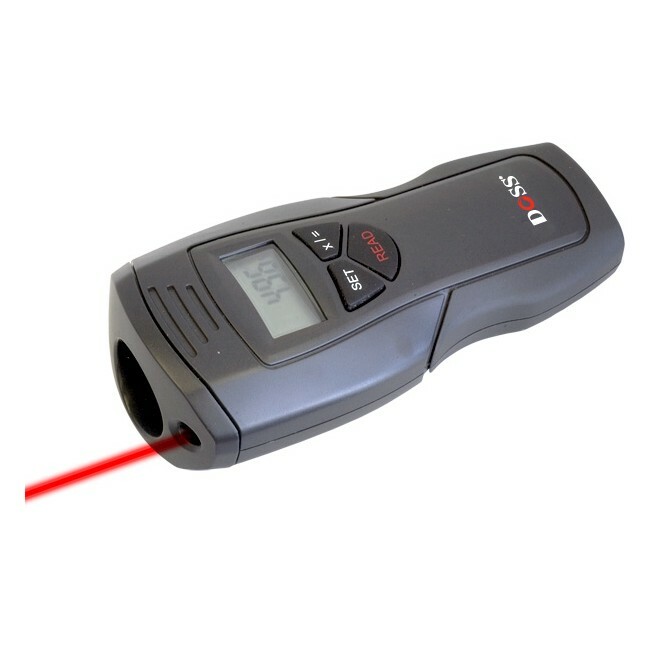 Class IIIR laser pointer <5:mw output power, on while taking measurements.